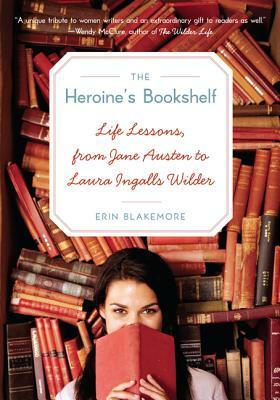 A testament to inspirational women throughout literature, Erin Blakemore’s exploration of classic heroines and their equally admirable authors shows today’s women how to best tap into their inner strengths and live life with intelligence, grace, vitality and aplomb. This collection of unforgettable characters—including Anne Shirley, Jo March, Scarlett O’Hara, and Jane Eyre—and outstanding authors—like Jane Austen, Harper Lee, and Laura Ingalls Wilder—is an impassioned look at literature’s most compelling heroines, both on the page and off. Readers who found inspiration in books by Toni Morrison, Maud Hart Lovelace, Ursula K. LeGuin, and Alice Walker, or who were moved by literary-themed memoirs like Shelf Discovery and Everything I Needed to Know About Being a Girl I Learned from Judy Blume, get ready to return to the well of women’s classic literature with The Heroine's Bookshelf. Erin Blakemore learned to drool over Darcy and cry over Little Women in suburban San Diego, California. These days her inner heroine loves roller derby, running her own business, and hiking in her adopted hometown of Boulder, Colorado.